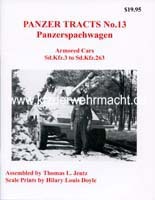 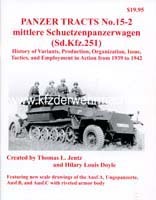 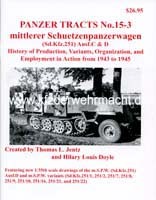 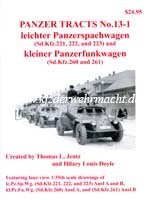 The Panzer Tracts series was started by Thomas L Jentz and Hilary Louis Doyle who are probably the most competent experts for special motor vehicles of the Wehrmacht at present. 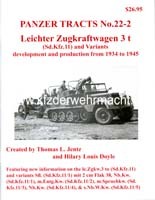 Besides plentiful and excellent researched information – which often puts away long-cherished legends – numerous historical photos and scale drawings can be found. 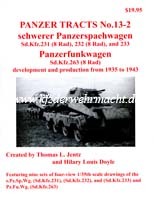 This is currently the best researched series about the subject worldwide. 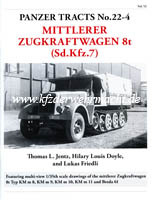 A bit compressed extent. 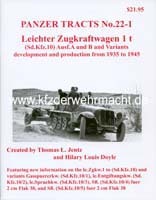 The chapters of some vehicles could be a bit longer. 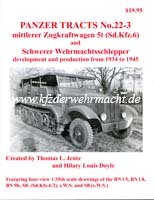 Lengthy and probably the best volume on the subject with a multiplicity of new information. 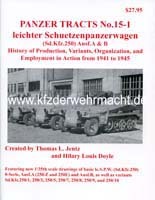 Comprehensive and probably the best volume on the subject with a multiplicity of new information.